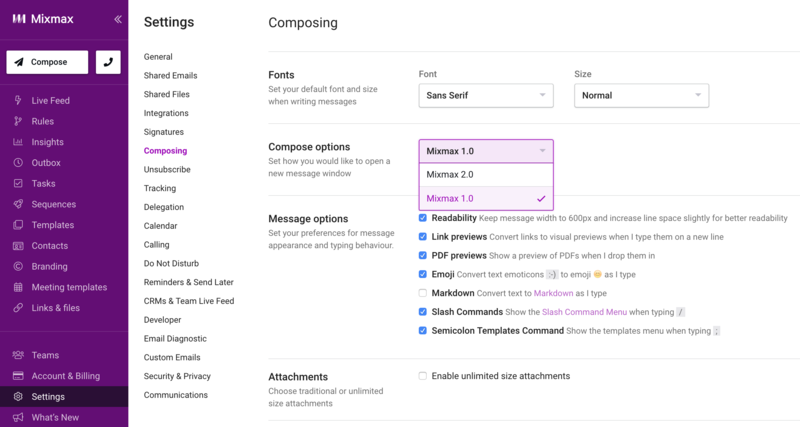 We're excited to have begun the rollout of Mixmax 2.0 featuring a revised message compose window and other enhancements for a faster, smoother and overall more-reliable experience. Here's how to switch which version of Mixmax you're using. Switching on or back to Mixmax 2.0 is easy! 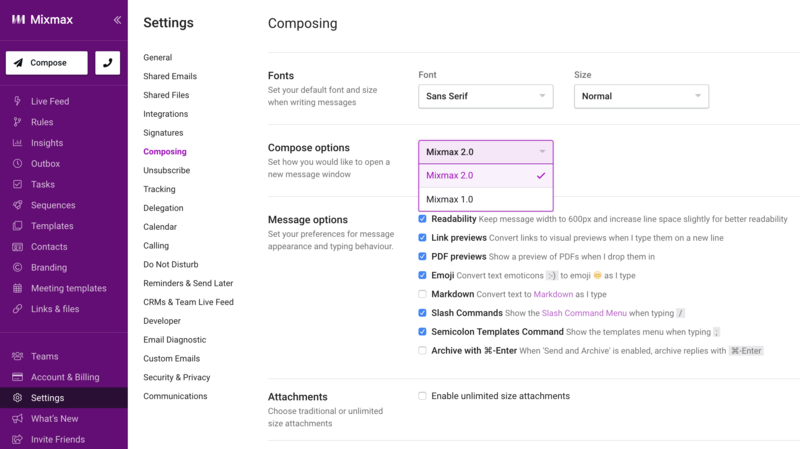 Go to your Composing settings in the Mixmax dashboard. In the Compose options section, click the drop-down menu and choose 'Mixmax 2.0'. This will place you on Mixmax 2.0 with it's more intuitive layout and streamlined experience! Go to your Composing settings in the Mixmax dashboard. In the Compose options section, click the drop-down menu and choose 'Mixmax 1.0'. This will use the previous Mixmax 1.0 compose window for new messages and replies in Gmail.